The fire-ravaged Kickass Cupcakes truck. This was supposed to be the Kickass Cupcakes truck. Seriously. The Davis Square cupcake boutique (er, bakery), custom ordered a tricked out van from which they were planning to sell their sugary treats. 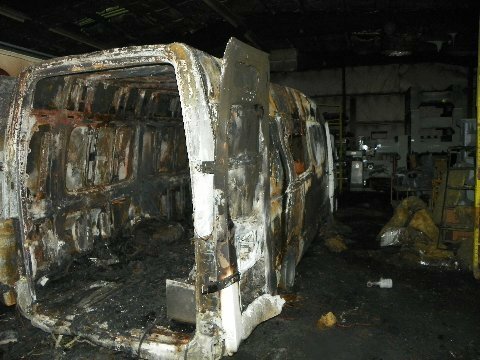 One week before the scheduled delivery, the truck found itself involved in a fire. Quite the fire, as you can see. Apparently a rush has been put on the replacement. They expect a shiny, new model by the end of the month. In the meantime, you’ll have to trek to Davis Square. 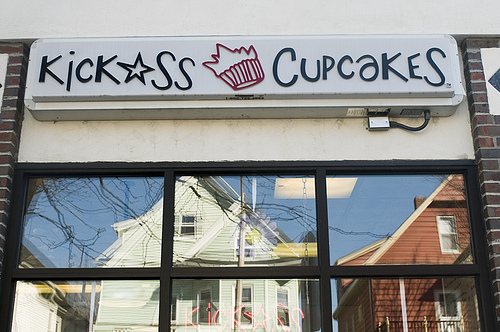 I actually haven’t tried the cupcakes, but I hear they’re delicious. 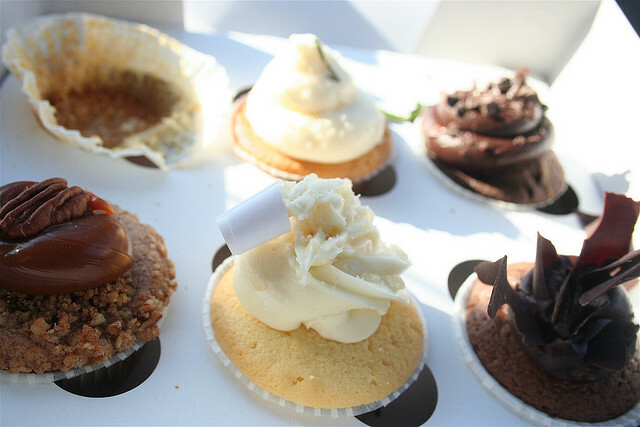 And I’m picky about my cupcakes (well, about everything I suppose).